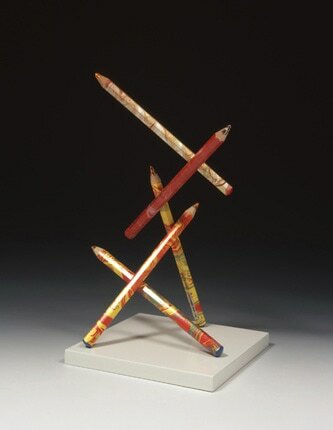 In a drawer, I found three old pencils. 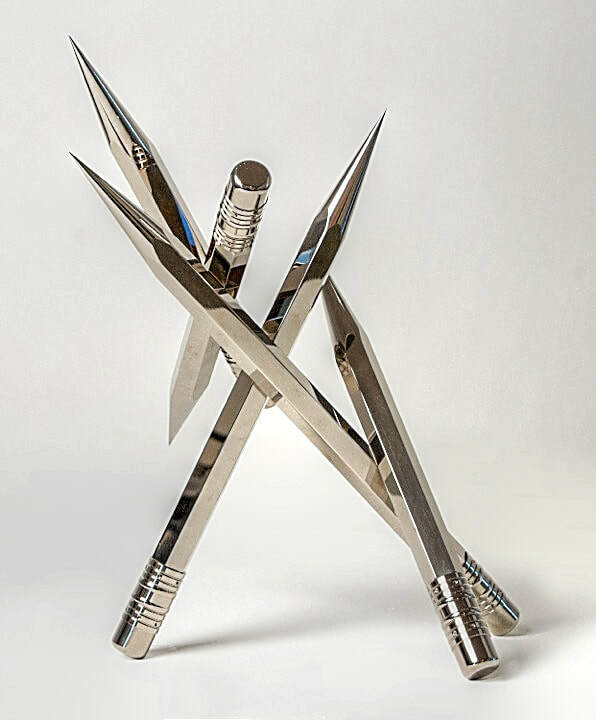 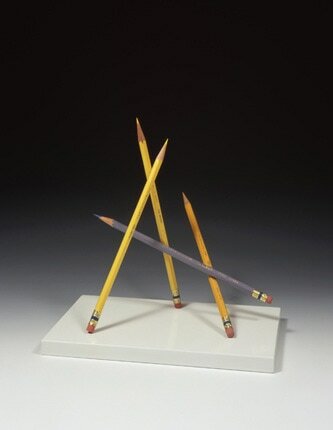 I thought of them as metaphors of a culture past. 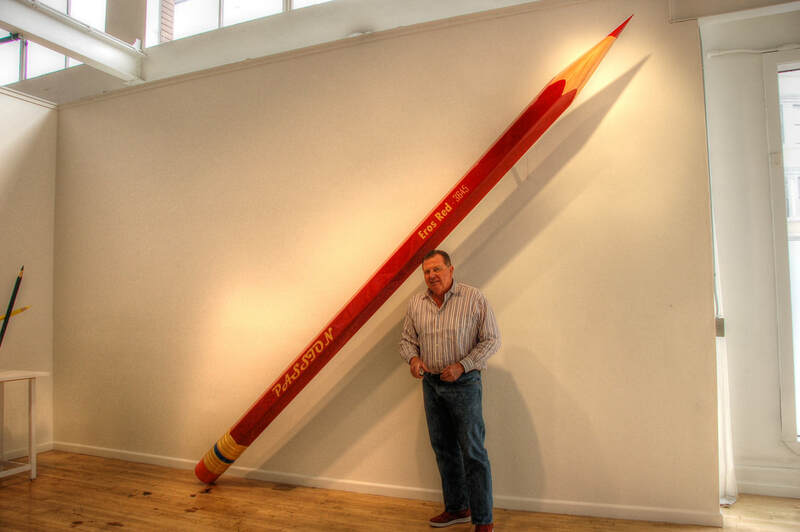 How simple a pencil is and how we have abandoned these practical tools with our laptop, tablets and iphones. 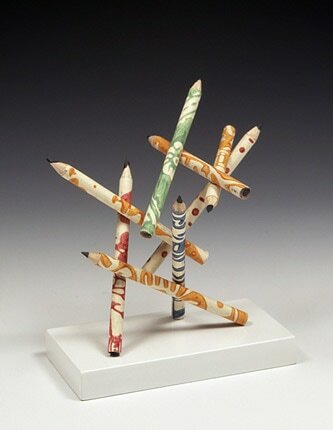 I began to play with them and visualized how they would look standing in different configurations. 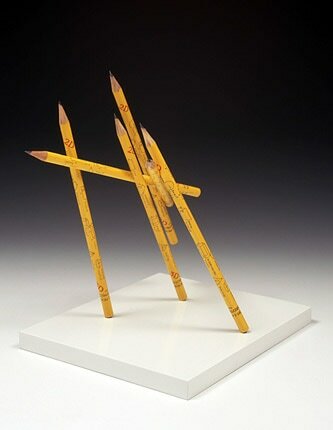 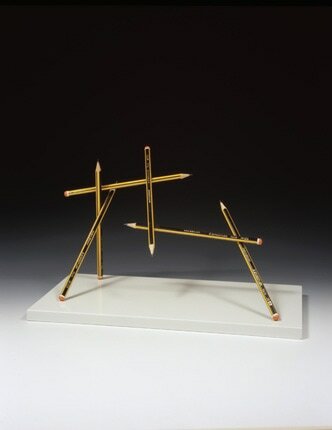 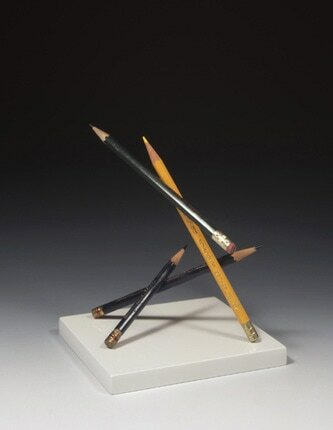 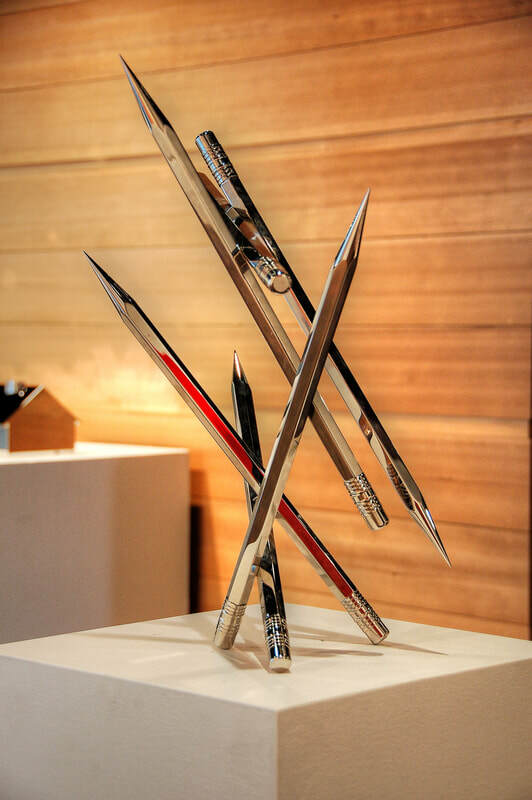 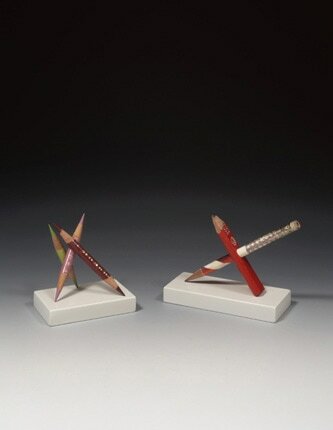 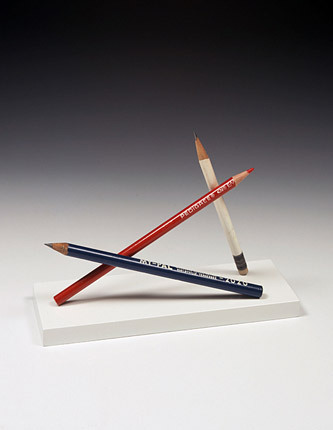 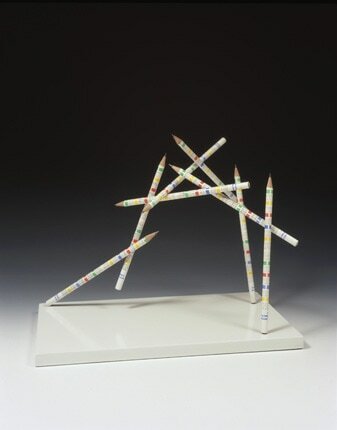 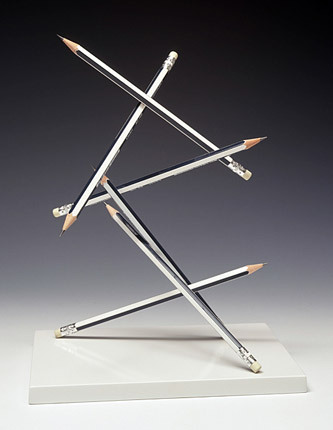 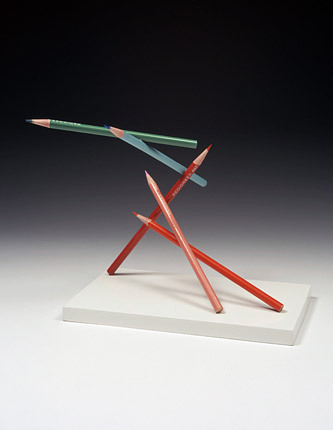 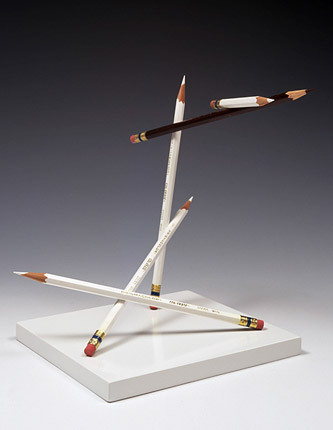 These early Pencil Sculptures were simple and relativity naïve. 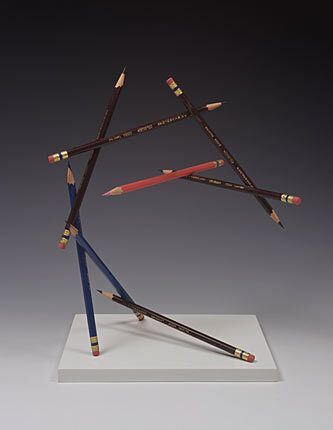 I then began to assemble them in sections creating unnerving balancing acts. 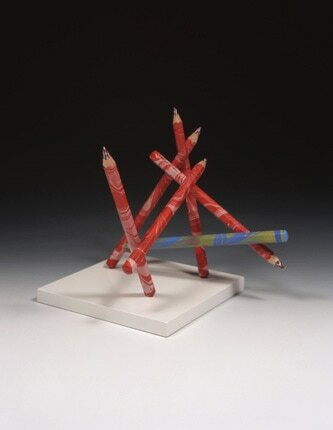 I continued to look for old pencils and explored different ways they could be assembled. 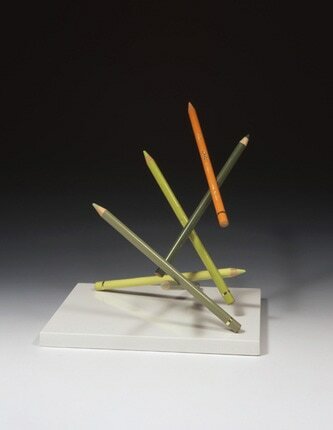 Take the color away, they have motion, direction and volume. 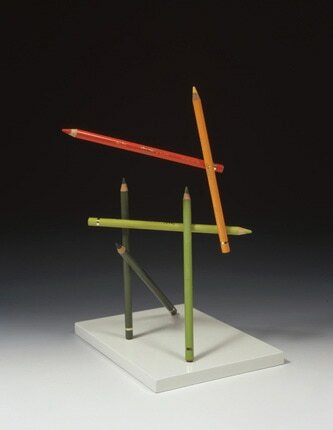 I soon ran out of old pencils and decided to buy new pencils from an art store and see what I could build without any limitations to length, color and graphics. 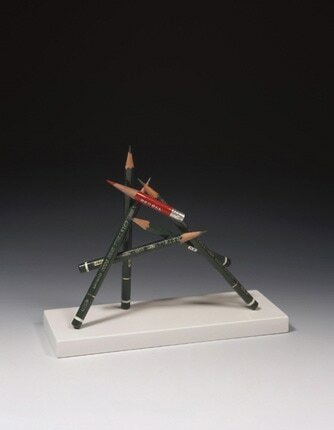 In the beginning, shape was all I cared about. 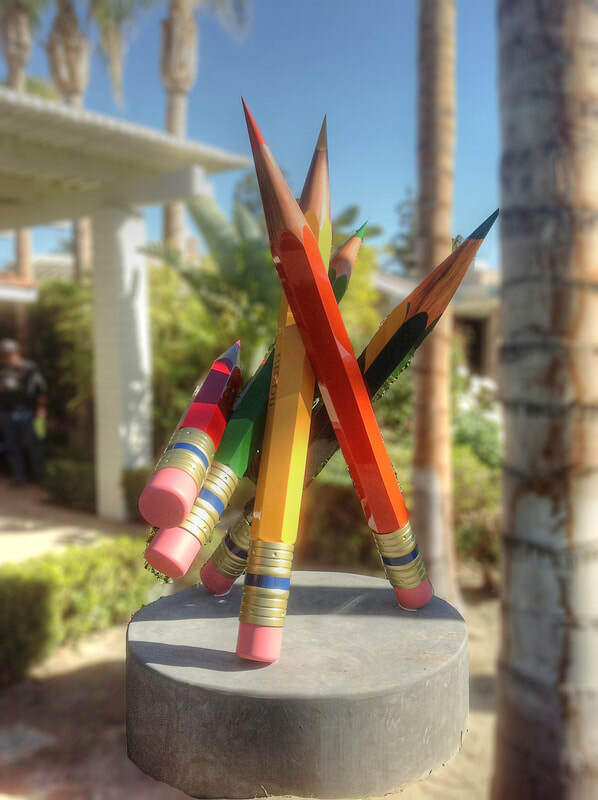 The new art pencils allowed me to control the color as well. 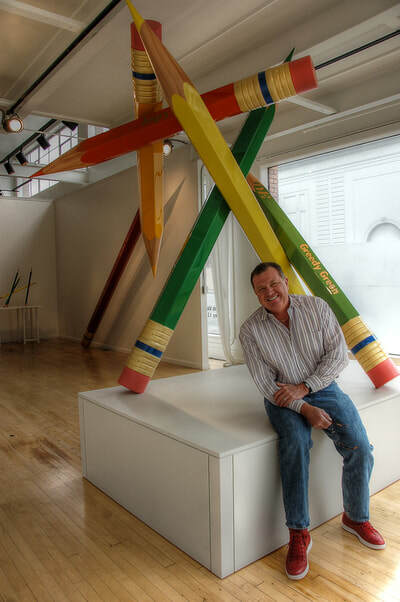 While I continued to develop the shape first, working with color was like adding color brush strokes on a three dimensional canvas. 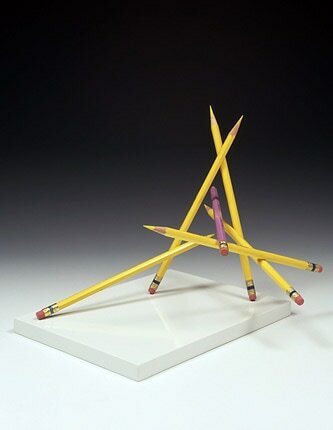 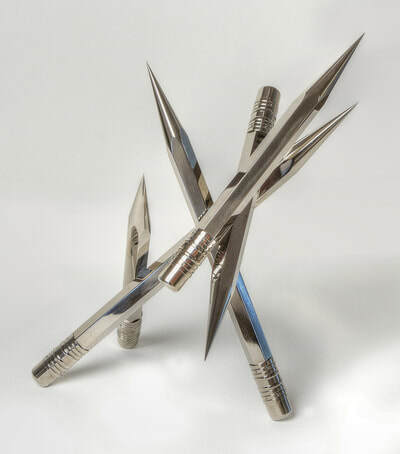 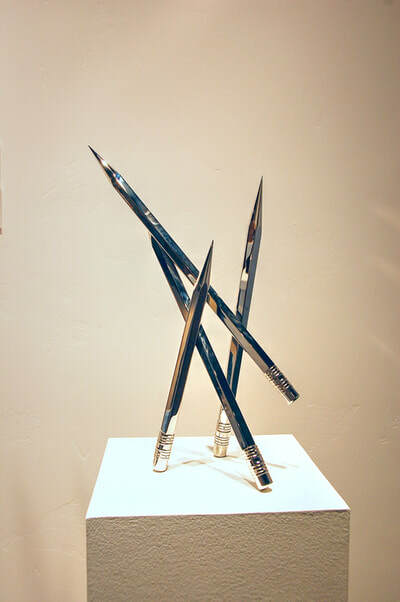 Making Pencil Sculptures is one of my many mediums. 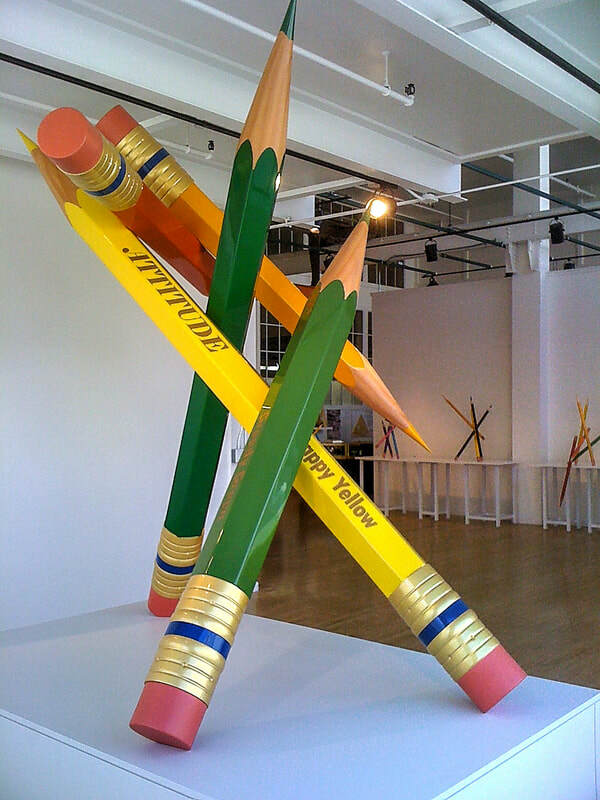 To date, Ihave made over 200 Pencil Sculptures. During this process I began to wonder what these pencils would look like, oversized. 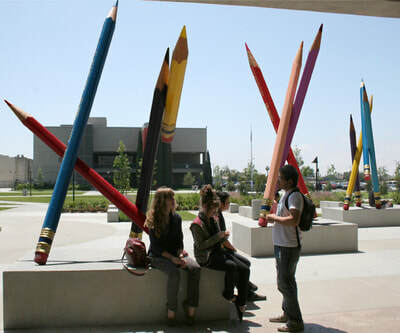 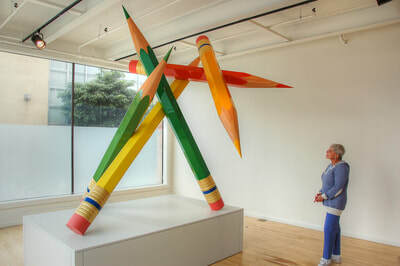 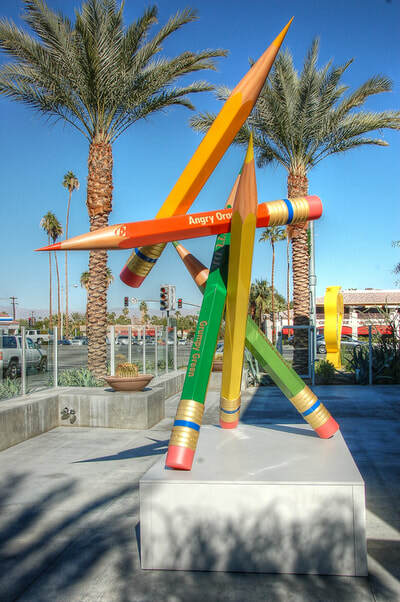 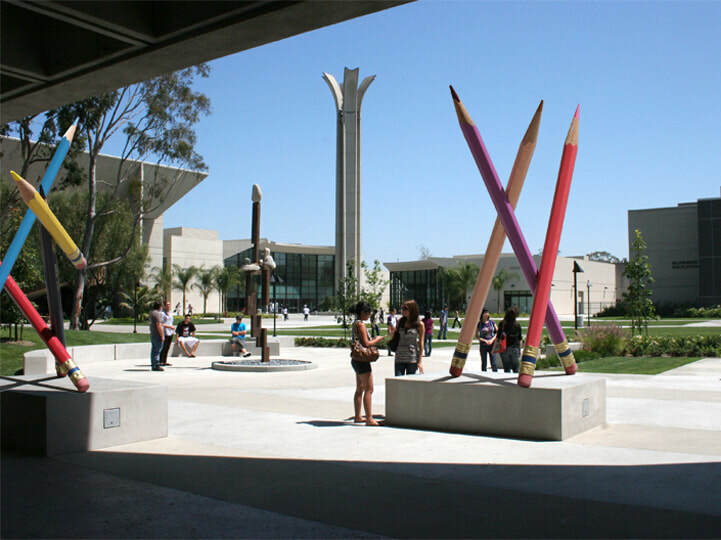 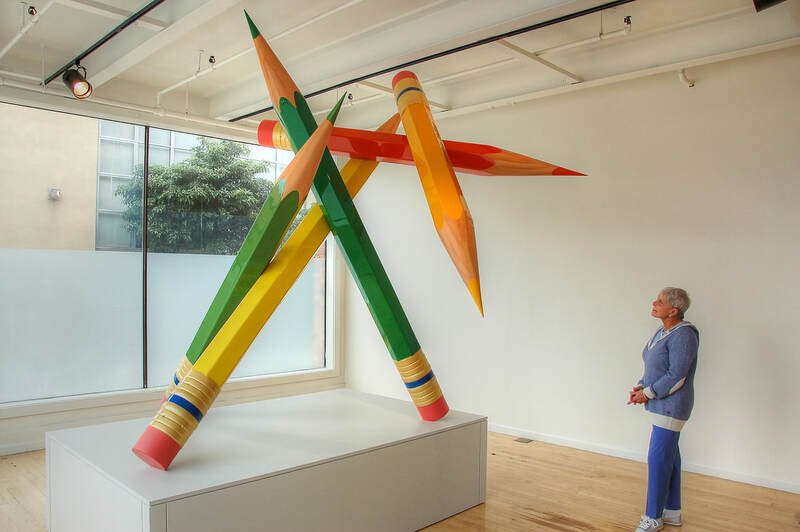 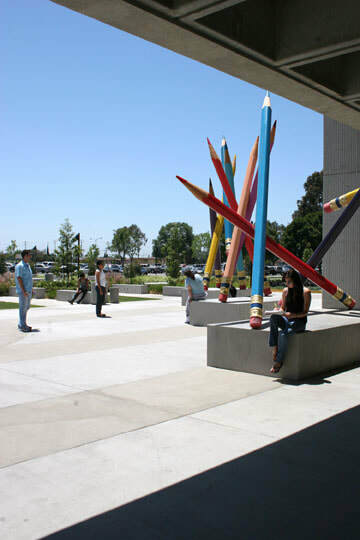 I have now realized my dream of people walking under and around these supersized Pencil Sculptures as public art.